Ten years does not seem that long ago, but in the wheat-free/gluten-free world it was a lifetime ago. The awareness and popularity of the products over the years have paved the way for greater competition and for companies to try to outdo each other and to have clients reaching for their pocketbooks. However, back in 2005, some of the first gluten-free cookies I tried were… well… bad. Frankly, the packaging they came in might have been tastier. It wasn’t easy, but I survived on a lot of salad, grilled chicken and home-made shepherd’s pie in that first year. I am so thankful that times have changed. What led me to the doctor and nutritionist’s office in the first place was a series of digestive issues that were seemingly getting more intense as time went on. In the months that preceded those visits, my stomach was often bloated, distended and often so noisy when it came to post-lunch digestion, to the point that I was embarrassed to attend afternoon meetings. I tried to drink as much water as I could to help drown the sound, but then I just had an orchestra of digestion noises AND gurgly, bubbly noises. It was the month I turned 40 that things took a turn for the worst. At first, I thought it was just a little overindulgence compounded by my recent history of digestive issues that I believed were responsible for my stomach flu-like symptoms, but after the considerable smoke had cleared from the birthday cakes and the confetti was all vacuumed up, the digestive issues did not clear. The stomach-flu-that-never-ended raged on. I naively resorted to the BRAT diet, bananas, rice, apples and toast, but of course, the toast part did not do me any favours. I tried a low-residue diet for a few weeks which seemed to help, but the minute I went back to a normal diet (which included wheat) things quickly got bad again. Because wheat and gluten is in so many things, even in small doses, it was difficult to diagnose. It took a week of going completely cold-turkey, no wheat or gluten products, to see a difference. And I did.. it was like night and day. 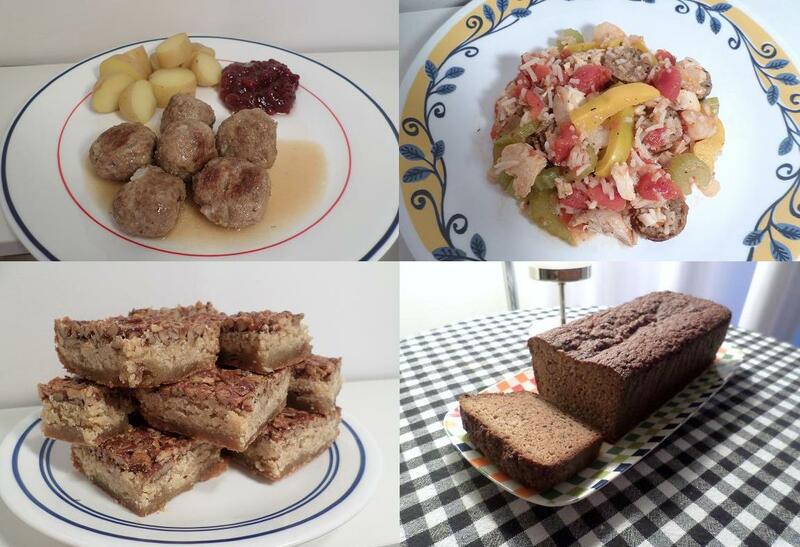 With the help of the nutritionist and a lot of online research, I managed to reconstruct my diet into an almost all home-made, clean diet, involving very little processed food. Today, I have a steady rotation of favourite healthy gluten-free recipes that I cook in batches, which I then freeze into individual containers. It took a lot of adjustment to get to that point, but it is second nature today. Of course, over those 10 years, industry jumped on the bandwagon in a big way and developed wheat-free, gluten-free products that seemingly get better with each passing year. However, just because products might be gluten-free does not necessarily make them healthy. Becoming a label-reader and a detective also became second nature. In some ways, I have been very lucky in that for me, it is just an intolerance. As my doctor says, it isn’t fatal, it’s just inconvenient if I do run into an accidental dose, as I will be plagued by stomach-flu-like symptoms the next day. That being the case, as hard as it can be, and as much work as it can be, I just avoid it at all costs. It’s easier that way, and considerably easier on everyone around me as I can get a little irritable after spending the day in the lavatory. My celiac friends get my utmost respect and admiration as they need to be even more vigilant than I do in ensuring their ingredients are completely gluten-free even eliminating risks of cross-contamination that could occur in a kitchen or processing facility. For them it poses a greater health risk than it does me, so I definitely appreciate the challenges that must pose. Given that I have been at it as long as I have, I receive a lot of questions from friends and family about wheat-free/gluten-free diets, where to start, what to look for, what products and recipes might be good. For that reason, I launched a second blog called myglutenfreefavourites.wordpress.com, outlining options that I think are a good start. It certainly does not replace the advice of a medical professional and a nutritionist, but I hope it helps minimize some of the initial panic for those who are newly diagnosed or those who have gluten-free guests coming over. Similarly, my heart goes out to the people who are trying to be inclusive by bringing food to work for the team to enjoy but then look at me and go “Oh darn, I’m so sorry, I don’t think you can have this”. The idea of picking up a dozen fresh doughnuts for the team was already a thoughtful gesture and I have no expectation that people need to figure something out for me. Putting the doughnuts right in front of me for the duration of a meeting might be a little cruel, but I have accepted the amusing irony of that too! …They smell so good anyway! However, when a colleague does go the extra mile and brings a gluten-free treat, if I could do cartwheels down the hallway I would. I cannot thank them enough for their kindness and generosity. I regret that in my adjustment, potluck parties are a bit of a minefield and I tend to avoid them at all costs now. First, I dislike the necessity of having to grill everyone about the contents of the food they brought; it can be a bit of a drag even at the most festive of occasions. Second, if they forgot one ingredient, like soy sauce or a teaspoon of flour in the gravy, we know where I will be the next day… at home, near the bathroom. Most of all, I am most grateful for my partner, my family and my close friends who have been so understanding and rising to the occasion of either making absolutely sure that parts of a meal were completely safe for me or going so far as making entire meals safe for me, experimenting with new recipes and joining me for the journey. I have really been blown away by their support and their kind spirit. I also applaud the restaurants that have come a long way, not only in offering wheat-free/gluten-free dishes, but the enthusiastic innovation that chefs are contributing to raise the bar and make dining out a pleasurable experience again. Major kudos to the waiters and waitresses today as well who go the extra mile in knowing their menu, the ingredients and possible substitutions. My tipping clearly reflects that extra effort and professionalism. In looking back over the last decade, as much work as it was, I am willing to admit that it was probably a blessing in disguise. Today, I have no problem eating my daily quota of fruit and veggies and in most cases, I know exactly what is going into my food and I can pronounce all of the ingredients. If my wheat-free journey led me down a path of eating more foods in their natural state, which may lead to a healthier life, which in turn might provide me with more opportunity to share with you the stories swirling around in my head, then I happily accept my wheat-free “sentence” as a badge of honour. Did you enjoy this post? If you did, please know that there are plenty more where that came from! If you haven’t already, you can check out the rest of my blog at andrebegin.net. From there, you can click on the “Follow” button to receive future posts directly in your inbox. Also, please don’t be shy, feel free to tell a friend or to share the link.